Immaculate 3- bedroom, 2.5 bath home with 10' ceilings on the main level and 9' ceilings on the 2nd level. The main floor has an open floor plan with hardwoods throughout. There is a formal dining room with moldings and French doors. The living room has a gas fireplace and opens to the kitchen. The kitchen has a large island, gas stove, stainless steel appliances, granite counter tops,and a tile back splash. 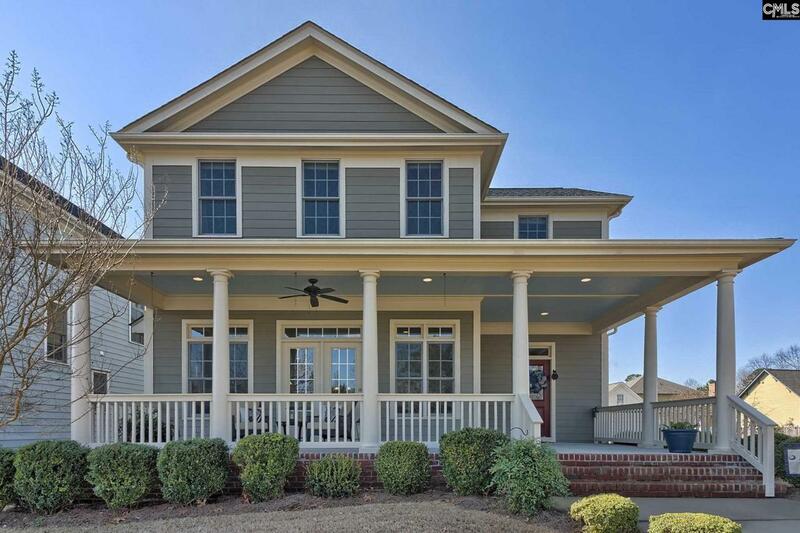 There is a large Charleston style front porch with a fan, a small rear porch with a fan, and a back patio. There is a 2 car rear entry garage. All bedrooms are on the 2nd level. The master is large and has a walk-in closet, soaking tub, and a separate tile shower. The other bedrooms are good sized and there is also a bonus room with built-in cabinets. All bathrooms have granite counter tops. Laundry room is on the second level. There is also an alarm system and gutters on the home. New roof in 2015 and the exterior was painted in 2017. two HVAC systems.